He was a super salesman—maybe the best that ever lived. He was a marketer extraordinaire, perhaps the most prolific in industrial history. He was a genius with organizational development, a master talent scout, and most of all, he was a brilliant alchemist, turning wood and steel into dollars and cents, and neighborhoods, and roads, and largely creating the 21st century in a myriad of ways. He was responsible in full, or in part, for inventing, developing, or creating from whole cloth: Buick, Chevrolet, Frigidaire, GMAC, GMC , Pontiac, Cadillac , DELCO, AC Spark Plug, and other companies too numerous to name. He mentored Charles Stewart Mott, Walter Chrysler, Charles Nash, Charles Kettering, Albert Champion, David Buick, Louis Chevrolet, among many others. This man, known in fact as “THE MAN” in his day, envisioned a world that was largely science fiction back then. Iconic industrialist J.P. Morgan called him an ‘unstable visionary’, others called him ‘crazy’, but all who knew him well, eventually called him a genius. “The Man” was William C. “Billy” Durant. The most famous man no one has ever heard of. How he wound up so anonymous is an enduring mystery, as his achievements are prolific. 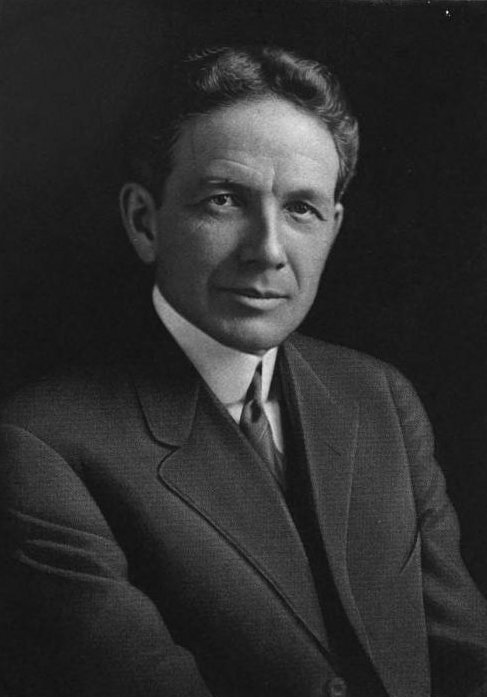 Durant was the first to use vertical integration in manufacturing, invented North America’s first franchise dealer network for automobile sales, and built the world’s largest sales team in recorded history. Moreover, (and contrary to popular belief), he was the first to use the assembly line for mass production in his carriage business (Henry Ford’s hired consultants put the assembly line into motion first in Ford plants). According to the legendary management guru, Peter Drucker, the company Billy Durant crafted out of thin air, General Motors, imposed a productivity might that was the primary reason that the allies were able to crush both Hitler, and Hirohito. The union movement, white collar management, automobile sales, and the plethora of automobile-related engineering and design careers—their histories and growth are linked to his entrepreneurial machine (Durant referred to GM always as ‘his baby’). General Motors was created with a deft blend of labor, management, bureaucracy and entrepreneurialism, and in many ways, helped to sculpt the vaunted American middle class. His creations fueled the American Century, transforming our lives in ways we scarcely appreciate today. He was strong enough to stare down J.P. Morgan (the actual man, not just the company), and Henry Ford, provide guidance to Pierre DuPont, counsel President Hoover about how to avoid a Great Depression (Hoover didn’t listen), rub shoulders with kings and queens, princes and presidents, while still being humble enough to play checkers with elevator operators. He was loved by his workers (labor strife was rare in his plants), his colleagues, and his friends (thousands of which he made wealthy beyond their wildest dreams). Despite his mercurial and sometimes self –focused behavior, no one doubted that he ultimately had their best interests at heart in the end. And so he did, having been ousted not once, but twice, from the helm at GM by a cabal of bankers and backstabbers. He went bankrupt during the Great Depression trying to guarantee investments made in his companies, and while legions of his friends were rich, he died broke. His spirit can be embodied in his own words, words of advice given to others in the face of difficult circumstances. It’s sage counsel for anyone chasing a dream, building a business, or trying to save a city.